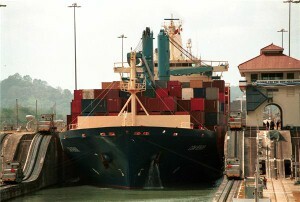 Soon, several Houston and Harris County, Texas, politicians will travel to Panama in hopes of reaching an agreement to widen the Panama Canal, KHOU.com reports.The delegation hopes that by extending the canal, more imports and exports can travel through the channel, which would boost the local economy.”If we do our job right, we have enhanced economic prosperity for this region for decades,” said Port of Houston Authority CEO Alec Dreyer told the news source.An initial expansion of the canal began in 2007, which is expected to be completed in 2014. The widened canal will allow for increased traffic for large cargo, tanker and container vessels.If an agreement is reached, the Port of Houston Authority forecasts a 15 percent increase for containerized cargo traffic during the next several years, and as much as a 150 percent jump by 2030.The increased amount of traffic and shipments should create more jobs for the region. With more jobs available, the Houston real estate market could improve significantly, as more buyers could then be interested in local properties.Courtesy of 2M Realty News?